In a press release (pdf) this afternoon, The Washington Post announced that Warren Buffett will not be a candidate for re-election to the company’s Board of Directors. His current term expires in May. Mr. Buffett joined the board in 1974 after building a significant stake in the company and has served for nearly 30 years, with a 8 year break when he became a director of Capital Cities. “For most of the last 37 years, we’ve been privileged to have on our board perhaps the best adviser any company could have had throughout that period,” said Donald E. Graham, chairman and chief executive officer of The Washington Post Company. For a brief history of Warren Buffett’s involvement with the Washington Post, we suggest Max Olson’s article Warren Buffett & The Washington Post (pdf). Mr. Buffett began acquiring shares of the company in early 1973 in the midst of one of the worst bear markets in post-war history. Although Katharine Graham, the Washington Post’s Chairman and CEO, initially feared that Mr. Buffett may have hostile intentions, these concerns were soon alleviated. By all accounts, Mr. Buffett was a key advisor and close friend of Mrs. Graham until her death in 2001. Katharine Graham’s award-winning memoir, Personal History, goes into great detail regarding the evolution of The Washington Post and Warren Buffett’s involvement and is highly recommended. 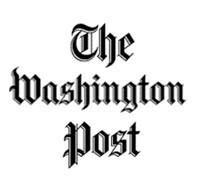 The Washington Post is currently facing significant challenges associated with its for-profit education division which now accounts for the majority of the company’s revenue. Steve Eisman’s recent presentation outlines many of the criticisms facing for-profit education. Although Mr. Buffett will no longer be on the Board, the continuing problems in for-profit education should ensure that Donald Graham will continue to call the 402 area code on a frequent basis for Mr. Buffett’s advice and wise counsel. The author of this article owns shares of Berkshire Hathaway. No position in The Washington Post.